The race to crown this year’s Sunoco Whelen and 240 Challenge winners intensified last weekend when four eligible championships staged events on both sides of the English Channel. 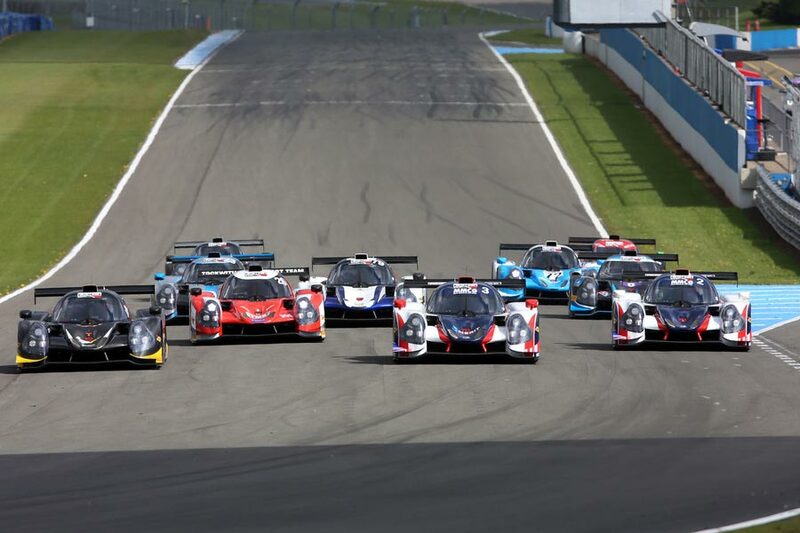 Henderson Insurance Brokers LMP3 Cup championship leader Colin Noble Jnr continues to top the senior standings despite a low scoring outing at Spa-Francorchamps. However, his advantage was trimmed by co-drivers Alex Reed and David Pittard who were in British GT4 action at Silverstone. Meanwhile, Rick Parfitt Jnr’s Silverstone 500 victory helped the British GT3 Am move into Sunoco 240 Challenge contention, although Mini Challenge Cooper class ace Jessica Hawkins remains top of the pile for now. British GT and LMP3 Cup drivers might not meet on track this season but their squabble at the summit of Sunoco’s Whelen Challenge table continued last weekend. The latter’s championship front-runner, Colin Noble Jnr, enjoyed a 16-point lead heading to Belgium where a victory and further podium would ordinarily have generated a strong points haul. However, as per Challenge rules a low car count reduces the number of marks on offer, which in Noble Jnr’s case resulted in a 15.21-point net loss. That he continues to lead the standings owes much to disappointing outings for many of British GT4’s championship-chasing crews, all of whom went into their Silverstone 500 event eager to reduce their Sunoco Whelen Challenge arrears. New GT4 championship leaders Alex Reed and David Pittard now also find themselves joint-second in the Whelen table despite only finishing fifth at Silverstone. Their new total of 77.92 is 8.75 less than Noble Jnr but 6.09 more than Matt Bell whose LMP3 Cup victory helped propel him 10 places to fourth. Another GT4 Pro, Stuart Middleton, headed to Silverstone as Noble Jnr’s nearest challenger but didn’t score a single point after he and co-driver Will Tregurtha failed to place on Sunday. The HHC Motorsport duo therefore slip to fifth and 12th, respectively, in what’s become an incredibly tight scrap for the top-10. Indeed, just 10 points now cover fourth to 15th. As former winners Seb Morris and Phil Keen are ineligible for 2018’s Rolex 24 At Daytona prize drive, leaving Matt Griffin as British GT3’s highest placed Pro in joint-fifth with Middleton. Their 71.5-point total keeps them two clear of Radical SR3 European Masters ace Stuart Moseley, while Adam Mackay completes the top-eight after sealing GT4 victory at Silverstone. Rick Parfitt Jnr’s perfect British GT weekend at Silverstone helped move the Bentley driver up to second in the Sunoco 240 Challenge table, although current leader Jessica Hawkins actually increased her advantage over the chasing pack without turning a wheel. Fastest Am lap in qualifying and the race, as well as outright victory in British GT’s blue riband event, earned Parfitt Jnr the 140-point maximum. His total average has therefore leapt to 102.67 points, 5.66 fewer than Hawkins’ current benchmark but 0.92 more than GT3 title rival Jon Minshaw who dropped from second to third. Like Hawkins, F3 Cup racer Shane Kelly benefitted from those around him dropping points to move up to fourth ahead of LMP3 Cup’s Alasdair McCaig, who suffered from the same low car count as his Pro co-driver Noble Jnr, and British GT4 Am Graham Johnson. Brett Smith improved his points total courtesy of a Mini Challenge JCW victory and pole position at Silverstone but remains seventh. It’s also ‘as you were’ for Matt Hammond and Jacopo Sebastini – neither of whose respective Mini Challenge Cooper and F3 Cup series were in action – while Jack Lang benefitted from a tough weekend for British GT3 champion Derek Johnston to climb into the top-10.